What is there to do when one is stuck in Friday night traffic for close to three hours? Why, devise a new concept for cake, of course! I was on my way on Friday night, the rain beating down on my windshield, hungry and craving for everything under the sun, when I thought of a dessert my friend Nisa and I used to indulge ourselves with every now and then. The Chocolicious Sundae from Delicious was our favourite, and we recreated it several times for potlucks and barbecues. And boy, I got a sudden hankering for it the other night. 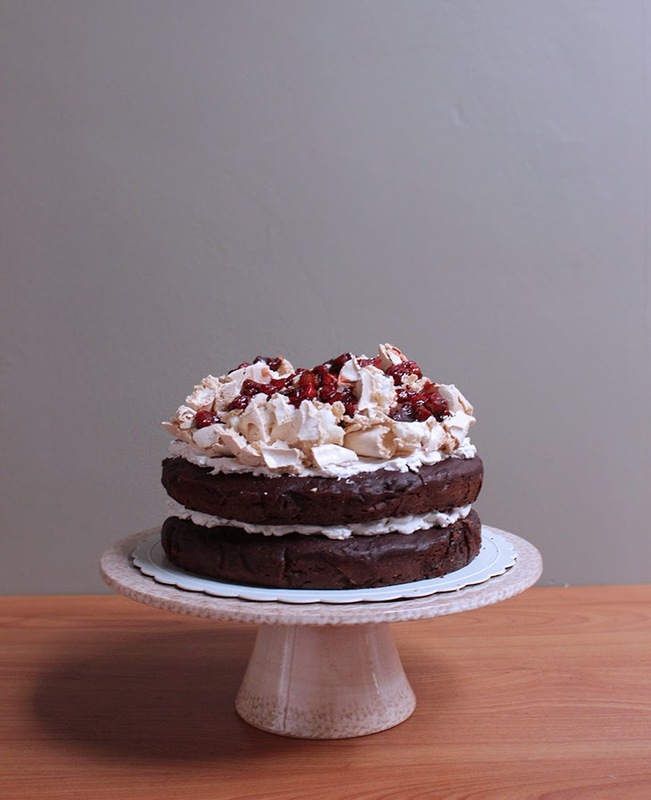 However, I wasn’t really in the mood to have a solitary dessert outing (seriously… nobody wants to spend time with me when I’m home in Setia Alam), so I wondered if I could make a cake version of it instead. 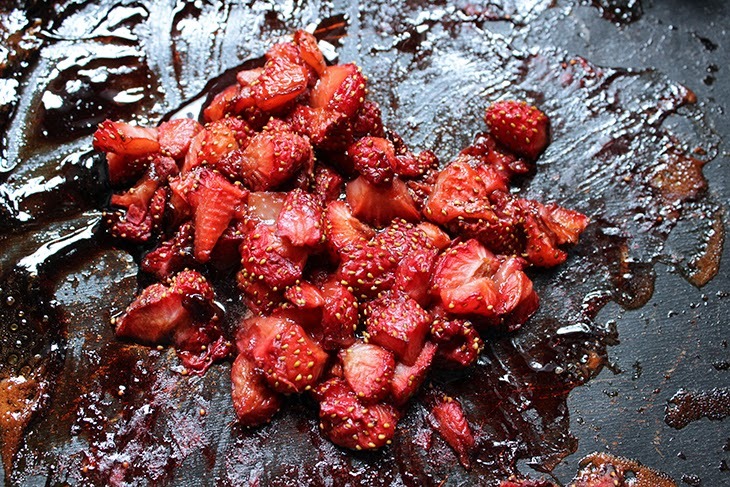 The elements of the dessert are simple: chocolate, meringue, strawberries and ice cream. Voila, my Saturday baking excursion was planned. 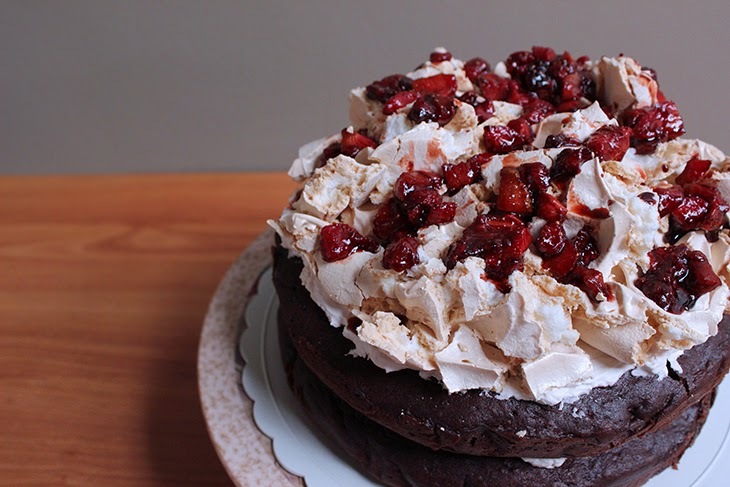 I present to you, the Chocoberry cake! Wow, terrible name. It’s a work in progress, please excuse me. I welcome suggestions for a better name *points to comment box*. Preheat oven to 180°C/fan. Whisk the egg whites until foamy, then gradually add all the sugar and continue to whisk on high speed until mounds form (not too stiff). 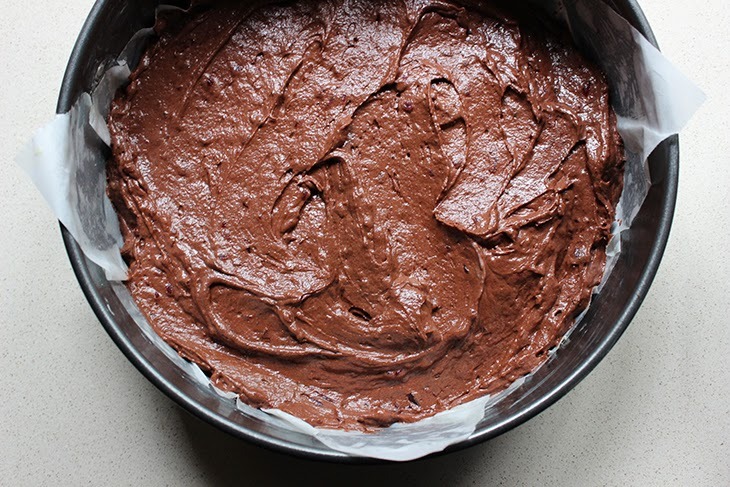 Spread the meringue mixture onto a baking tray lined with parchment paper, and pop into preheated oven, drop the temperature to 165° and bake for 30 minutes. Remove from the oven when done (tap the meringue with the back of a spoon to check doneness) and allow to cool completely. 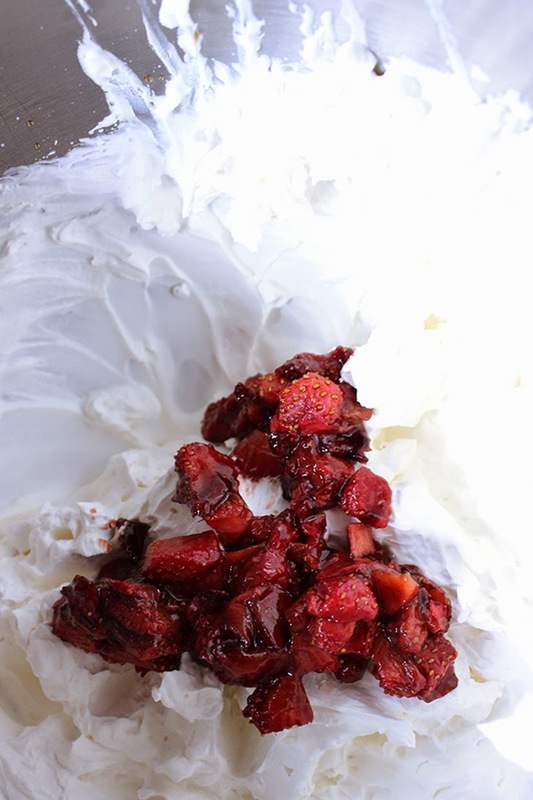 Now you’ve got all the components of the cake done, just crack the meringue into large pieces and arrange on top of the cake, then finish by drizzling remaining roasted strawberries on top.